Fast, funny and created with loving attention to detail, The Lego Movie will delight anyone who has ever played with those universally-recognised little yellow figures. Beginning at a blistering pace that never lets up, the film (from Cloudy With A Chance of Meatballs directors Christopher Miller and Phil Lord) succeeds by sticking closely to the things that make Lego so appealing. From the visual style, which looks uncannily like real animated Lego figures but is actually painstaking digital 3D, to the endless cameos from Lego versions of popular characters – Batman, Gandalf and Shaquille O'Neal all feature – the film revels in Lego's potential for silly fun. Added to this it features a totally up-for-it voice cast, headed by Chris Pratt (currently stealing scenes in Spike Jonze's Her) and including a standout turn from Liam Neeson as a conflicted Lego cop. It is hugely inventive and very entertaining, but there comes a point where its head-bashingly insistent insanity becomes wearing. Anchorman-style non sequiturs are funny in small doses, but this film leans heavily on that surreal vein of humour, which ultimately wears thin. While Lego has been hailed in some critical quarters as touching Toy Story levels of greatness, it is a misguided comparison. Pixar's film worked so effectively because its makers took the crazy decision to take the toy characters seriously, regardless of their comedic predicaments, and we found ourselves moved by Woody and Buzz's adventures. Conversely, The Lego Movie is so layered with ironic detachment that when Miller and Lord do attempt to go sincere in the final act, it is a significant misstep; the message feels trite and hollow. 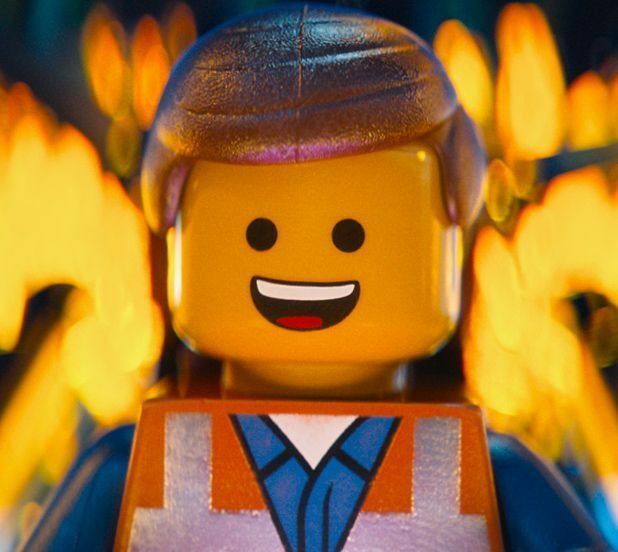 Miller and Lord are clearly masters of comedy though, and The Lego Movie is a genuinely funny film that can be equally enjoyed by adults and kids. General release from Fri 14 Feb.